​A perm can be a great option if you want some volume and body. Curly hair is notoriously fun and forgiving if it’s taken care of properly. Hairstyles by Jess can give you the perfect curls, waves, or ringlets! We can also set you up with the perfect salon-quality products to care for your new ‘do! Contrary to what you might think, perms aren’t just for your granny! Women of all ages, ethnicities, and hair styling abilities can benefit from a really good perm. Perms can actually be a good option for those looking to cut down on the amount of time it takes to style their hair every morning. Learning how to style curls after having stick-straight hair can be tricky, but once you’ve mastered the art, you could be out the door in minutes with your fresh, bouncy curls! The right products can go a long way in cutting down your overall styling time. Perms are also something to consider if you’re fully committed to the beach wave look. This texture has been around for a while, and we don’t think it’s going anywhere anytime soon! A loose perm can help you achieve a look that’s perfect for wearing down, half up, or in a messy bun. Did you know that even curly-haired girls get perms? It’s true! Many people with curly hair are unhappy with the inconsistency of their curls. 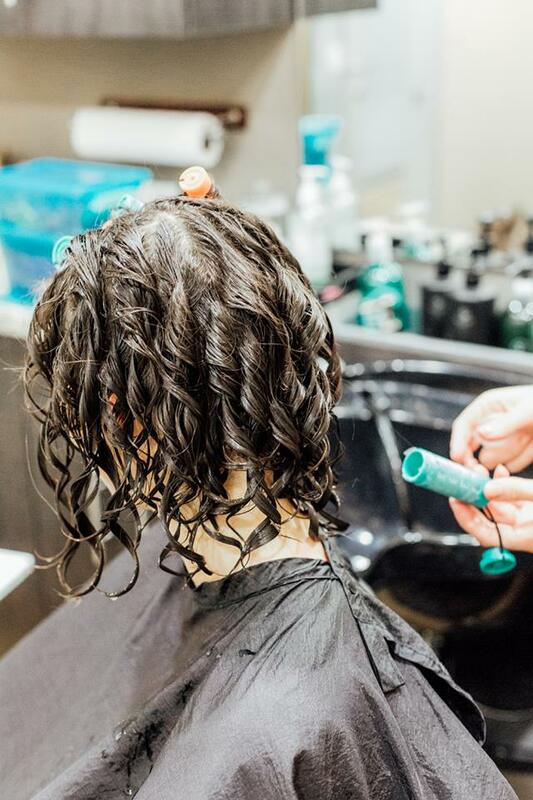 Tight ringlets underneath and nearly straight strands on top can be difficult to style, so some of our curly-haired clients opt to even things out with a perm. The perm trend of the 80s left people shirking away from the idea, but it’s definitely worth reconsidering. New tools and techniques have improved the accuracy of hairstylists. 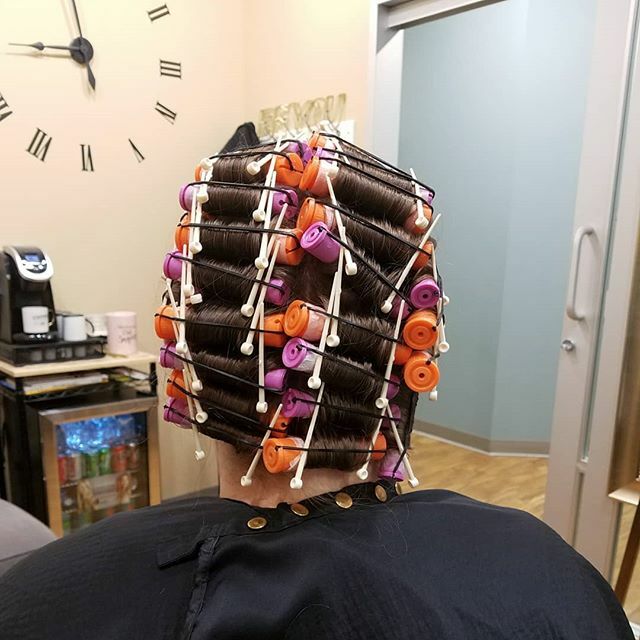 Using larger rollers, they can now create much more relaxed curls than the perms of 20+ years ago. Stylists can also work with your haircut to add more or less texture in certain areas using different sized rollers. Perms have come a long way in the past 25 years, but there are some things that remain true about them. They still rely heavily on chemicals to change the texture of your hair. Therefore, perms can damage your hair if they aren’t done well. 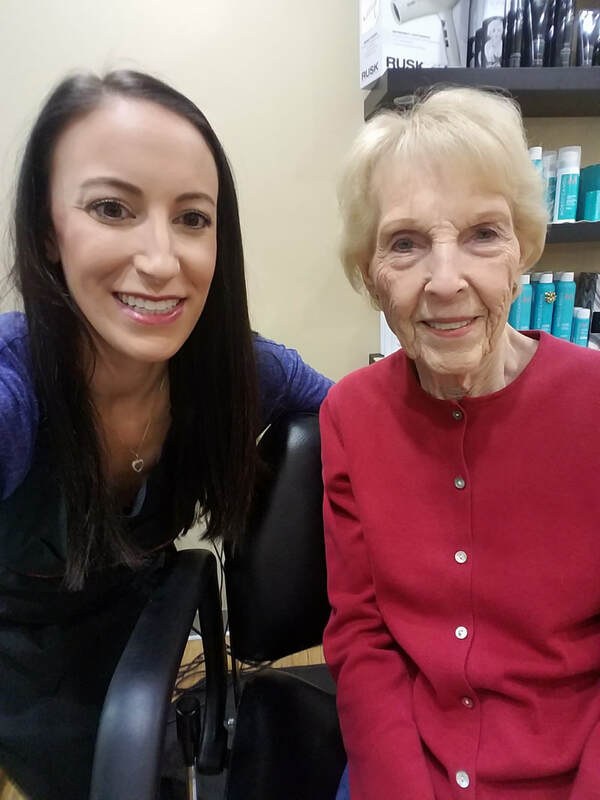 When you visit Hairstyles by Jess, you can trust that you’ll get our unfiltered advice about your hairstyle choices. For example, if you color your hair regularly, we’ll advise you on the best time to perm your hair so that the chemicals don’t interact with one another. 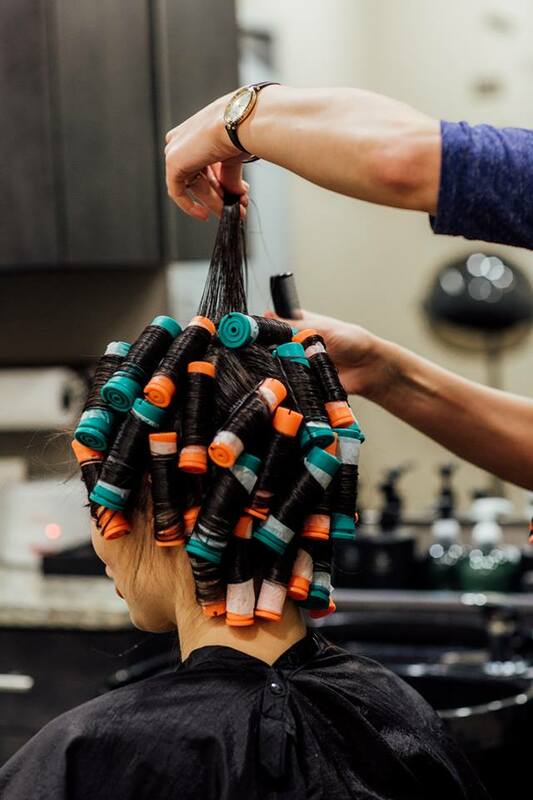 Doing a perm and color close together can severely damage your hair, making it dry and brittle. There’s a right time to perm colored hair, but not every salon will tell you that because they are only interested in making money! Hairstyles by Jess is only concerned with what’s best for our clients, making them completely happy, and building long-term relationships! *Your service total may vary depending on the length and thickness of your hair.